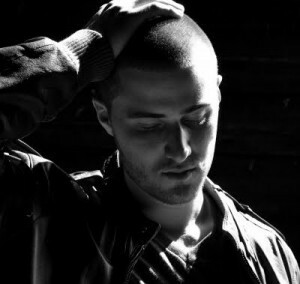 Credit where it’s due, the team at Sony Music Australia has never wavered in their quest to make Mike Posner’s ‘Cooler Than Me’ a massive smash in this country – and their persistence has most definitely paid off. So much so that to capitalise on the single’s top five success, they’ve this afternoon announced that the US star will head to Australia later this month for promotional opportunities – and for a live appearance on The X Factor. He’ll spend an entire week on the ground in total from Friday October 29, with media commitments slated in both Sydney and Melbourne. He’s also set to hit the X Factor stage on Monday November 01 to perform his hit single. Mike will then return to our shores early in the new year to perform as part of the 2011 Good Vibrations line-up. Top row (l-r); Hurts ‘Wonderful Life’, Brandon Flowers ‘Crossfire’, Kylie Minogue ‘Get Outta My Way’, Darin ‘Lovekiller’ album, Yolanda Be Cool & D Cup ‘We No Speak Americano’, Kelly Rowland ‘Commander’. Middle row (l-r); Short Stack ‘Planets’, Robyn ‘Hang With Me’, Alesha Dixon ‘Drummer Boy’, Armin Van Buuren vs Sophie Ellis Bextor ‘Not Giving Up On Love’, Alexandra Burke ‘Start Without You’, Christina Aguilera ‘You Lost Me’. Bottom row (l-r); Diana Vickers ‘The Boy Who Murdered Love’, Adam Lambert ‘Whataya Want From Me’, Saturdays ‘Headlines’ album, Lady Gaga ‘The Cherrytree Sessions EP’, Enrique Iglesias ‘I Like It’, Robyn ‘Body Talk Pt.II album. Singles from Hurts, Brandon Flowers, Yolanda Be Cool, Kelly Rowland, Robyn, Armin Van Buuren, Christina Aguilera from Amazon Germany. Singles from Kylie Minogue, Short Stack from JB Hifi Australia. Singles/albums from Alesha Dixon, Alexandra Burke, Diana Vickers, Adam Lambert, Saturdays,Enrique Iglesias, Robyn from Amazon UK. Lady Gaga EP from Amazon US. Hey guys, love the wallpaper!! It’s awesome. Tell me the list of single and albums listed in the Oct 2010 wallpaper, please. And where do you get the singles from.